According to reports in Cadena Ser and El Pais today, Spain’s former government paid 2.000.000 dollars of public money to a lobby company in the United States to get support for the award of the Congressional Gold Medal for ex president Aznar. According to these reports, a contract was signed in secret just three months before the elections with money from the Foreign Ministry with a company called Piper Rudnick. A down payment of 700.000 dollars was given, and the contract established monthly payments from then on of 100.000 dollars until the final sum of 2.000.000 dollars was reached. 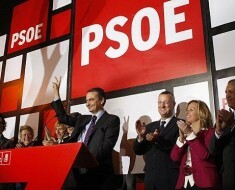 The contract does not include a clause about what would happen in the event of the Popular Party losing the elections. The then Spanish Ambassador to the United States signed the contract and paid the first sum of 700.000 dollars. According to the reports, the terms of the contract were that Piper Rudnick would “help the Government of Spain in public diplomacy and strategic communication” and would assist in “improving relations with the White House”. Cadena Ser claims that in January the company informed the Spanish Government that its services that month included boosting attendance of congressmen to the speech to be made in February by Aznar in the US Congress, and contacting individually congressmen and senators to ask them to sign in favour of a resolution proposing the award of the Congress medal to Aznar. Today when questioned by Spanish reporters, the then Minister for Foreign Affairs, Ana Palacio, confirmed that the contract did exist, but claimed that “all countries like us sign these kind of contracts”. Apparantly Cadena Ser has also contacted the law company which signed the contract today, but they have declined to make any statement, referring journalists instead to the Spanish Embassy in Washington.